Have you noticed that your home or business is experiencing chipping or crumbling concrete? Have you been ignoring it because it’s just a little crack or just some of it crumbling? Are they either around its sidewalks, driveways, parking lots, or even around the building’s foundation? If you have noticed them, it may be a problem that could require foundation repair. These are all signs that your home or business may be in serious need of foundation repair. Unfortunately, it won’t be as easy as crack repair. However, it might take a dual approach of crack repair and leveling or underpinning. Foundation repair is never something to leave until later, as it will only worsen over time. While chipping and crumbling concrete by itself may not mean foundation failure, it is still wise to have a professional from Reliable Waterproofing & Masonry come and inspect your problem. 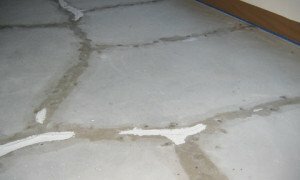 Even if it does not end up being foundation failure, Reliable Waterproofing & Masonry may be able to help you repair the chipping and crumbling concrete by patching or replacing it. We have a variety of services, depending on your needs or wants, that can repair concrete. Contact us to learn more about our concrete restoration services! Contact us today to learn more about our services, such as foundation repair, waterproofing, crawl space repair, masonry, brick re-pointing, and concrete restoration. You can also contact us to learn more about our service area, a FREE estimate, or any other questions you may have! Reliable Waterproofing & Masonry wants to help you feel safe and secure in your Northern Virginia home or business, and our services may help you get there. Call us today!